When looking to the future, sustainability is a buzzword. Whether it be in talks surrounding recent political campaigns, the future of our environment or company sourcing. Green-centric thinking can have great long-term effects on the environment as a whole but it can also be a great business strategy. 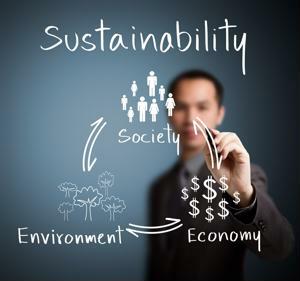 A new report by the World Economic Forum found that seeking sustainability within your company's supply chain can cut costs and increase revenue. The report noted that companies that implemented sustainable measures had an increase in revenue of up to 20 percent and cut supply chain costs by 16 percent. Whether it was a move to cut costs or just a good-hearted gesture, this past year has been great for the shift to sustainable global sourcing. Here are four business that are taking a responsible look at sourcing and working to fix inconsistencies along their supply chain. Post Holdings Inc. is not the first food and beverage industry company to make the move towards sustainable sourcing this year. In fact, the past 12 months have put a particularly bright spotlight on the supply chain sourcing of food companies. 1. Archer Daniels Midland Co. In March, ADM announced its commitment to curbing deforestation and other environmental destruction throughout its supply chain, reported Bloomberg​ Business. The initiative will pay particular attention to the farming of soybeans and palm trees. According to a statement from company spokesperson Victoria Podesta, the initiative will seek to increase the transparency of supply chains connected to ADM, with a specific focus on the company's most critical suppliers, Bloomberg reported. The announcement followed pressure from Green Century, a mutual fund advisory company owned by non-profit environmental organizations, as well as the New York State Common Retirement Fund, said the source. Green Century has spearheaded a shift in focus for major companies regarding their environmentally questionable sourcing practices. This British multinational alcoholic beverages company made a renewed and aggressive commitment to renewable and sustainable sourcing just as the 2014 year closed. The beverage supplying powerhouse is the largest global producer of beer and wine, producing over 6.5 billion liters of alcohol with manufacturers in over 30 countries, the source explained. Reduce greenhouse gas emissions by 50 percent. Cut down total company packaging by 15 percent. An increase of 45 percent in recycled content. A commitment to 100 percent recyclable packaging. The global sourcing of chocolate has fallen under question in the past few years. However, Nestle is attempting to lead the way in an assurance of sustainably sourced coca. According to Consumerist, in 2014 there were random visits to 200 cocoa-supplying farms along the Ivory Coast. During those visits, a supplier from Nestle was found to have children under the age of 14 working in the fields. Since then, Nestle has announced that Kit​Kat, one of the company's best-selling chocolate products, will be 100 percent sustainably sourced starting in the first quarter of 2016. "Sustainable cocoa sourcing helps safeguard the livelihoods of farming communities and delivers higher quality cocoa beans. This announcement will only strengthen consumer trust in Kit​Kat as a responsible brand." said Sandra Martinez, head of Confectionery for Nestle. Nestle has also formed the first major partnership with an animal welfare NGO - World Animal Protection, reported Food Dive. This partnership involves a pledge by Nestle to protect animals and farms within the global supply chain by enforcing and adhering to tighter standards. While Nestle has just encountered a new sourcing scandal regarding its cat food brand, Fancy Feast, the company maintained in an email to The Associated Press that "forced labor has no place in [its] supply chain." The report by the World Economic Forum found that Coca-Cola had done its environmental duty over the past few years. The company uses over 50,000 farms in Kenya and Uganda to source ingredients for its fruit beverages from locally run farms and plantations. Coca-Cola has the largest amount of hybrid electric trucks in the world, concluded the report. The company has over 750 of these trucks in North America alone. While these strides are impressive in themselves, Coca-Cola updated its company sustainability plan in June of 2015 in order to pursue further environmentally friendly measures throughout their manufacturing and distribution process. A company statement presented the list of these desired measures. Of the goals, two were specifically targeted at supply chain management. One seeks to support a continued circular recycled economy, which involves the recycling of products and the use of renewable materials when possible. The second of these goals includes working with the company's current suppliers to guarantee that 100 percent of its agricultural ingredients are sourced sustainably by 2020. "We can't achieve great sustainability results by ourselves, so involving suppliers across our carbon value chain is critical," added Ron Lewis, senior vice president of the Coca-Cola supply chain.